Previously I discussed how congregations and organizations can fall prey to the “omphalos syndrome.” Omphalos is a fancy Greek word derived from the word used for navel, or the belly button. It’s about being ever inward-looking. But introspection isn’t always a bad thing. Sometimes we need to look into the mirror at who we are, what we are, what we can do better and areas where maybe we haven’t done all that well. Of course part of introspection is to know why a congregation or organization exists. Sounds easy, right? But once you begin to gather minds to craft or revise a Mission and Vision Statement, a whole host of ideas will flood out. None of them really are wrong. The trick is to craft a succinct statement that covers your mission and provides direction. Once you have your Mission and Vision statements, the next step is to match actions to words. If a key take-away in the Mission/Vision statement is an emphasis on outreach, is that reflected in the budget? Will decisions made by leaders reflect the desire to be inclusive and welcoming? Or will there be the “business as usual” approach after the fancy words are written, typeset and posted on frames around the building? Introspection also helps us focus on what we perceive the world around us to be and possibly how our perceptions may need some adjustment. Do you have older leaders who remember the “good old days” and can’t wait for them to return so you can flourish again? Well, times have obviously changed. If your organization hasn’t, maybe it is time for some soul searching to find a way for you to make changes to meet the needs and challenges of a changing world and society. Also, introspection leads each one of us to find it in ourselves to grow in grace and wisdom to see others’ needs ahead of our own. Yes, I attend church for what I need; but others are also in need of a saving message or in need of assistance through Christian charity. From an inner change comes the ability to forge relationships with the people around us – people that God loves, has created and redeemed, and whom God wants to know are loved and saved. Often that opening to share God with them is to meet the needs they have in their lives. When we listen to the Parable of the Good Samaritan, and the teacher of the law wanted to know who his “neighbor” was, wasn’t Jesus’s answer revealing? That an enemy is my neighbor, is my brother or sister? If the strangers in need around you aren’t brothers or sisters, why aren’t they? It can be easy to just hand someone material things and bid them on their way, but why not make some coffee and have them rest awhile and visit with them to get to know them? In other words, build a relationship with people. That’s the essence of Jesus’ ministry, and it will change your organization. 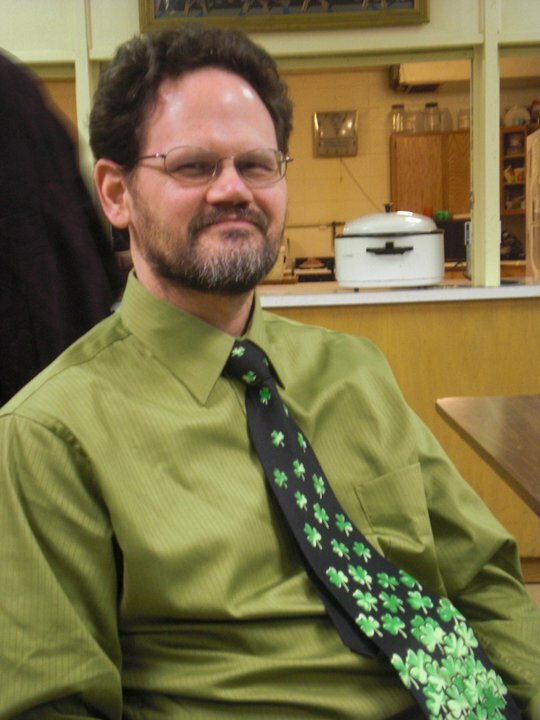 John L. Hoh, Jr., is a former seminary student active in the volunteer ministry of his east side Milwaukee congregation. He lives in Milwaukee with his son, Matthew, and is a published author with many books on Lutheran history, theology and practice. Contact him at hohjohn@yahoo.com. This entry was posted in Tips, Wisdom Wednesdays by GoALDE. Bookmark the permalink.